A controversial health insurance program is growing by leaps and bounds throughout the country. With “step therapy,” your insurer requires your doctor to prescribe the cheapest effective prescription drug for your condition (lowest step) before allowing you to use more expensive drugs (higher step). It’s not only being required by private insurance companies, it is also being used in Medicare prescription drug plans (Part D). Latest development: As of January 2019, Medicare Advantage plans have the option of using step therapy for Part B drugs—those directly paid for by Medicare to practitioners (including oncologists and dermatologists) for treatment of such conditions as cancer or psoriasis. Insurers argue that just because a drug is new or more expensive, that does not mean it is better or more effective than an older brand-name medication or its generic equivalent. In fact, for most people, the older drug probably does work just fine. However, while step therapy programs grow, research has uncovered many unintended consequences, such as patients getting sicker or not improving when forced to take a cheaper drug that is less effective than a more expensive one. Some insurance plans won’t even cover newer, more expensive drugs. • Check with your insurer. If your employer’s health plan covers your medications, ask the insurer if your doctors are required to use step therapy programs. The same applies if you have a Medicare prescription drug plan (Part D) or are a member of a Medicare Advantage plan. Terms of coverage may change from year to year, so carefully review all information about meds that the insurer provides. Insider tip: Make sure you check your insurer’s formulary (list of drugs covered) at least annually—and ask the insurer whether any drug you’re taking is part of a step protocol. In addition to requiring step therapy, the insurer can add or drop drugs from the formulary at any time. • Don’t hesitate to file an appeal. Several states have passed legislation, or have pending legislation, allowing you to appeal an insurer’s decision to deny coverage via a step therapy program. Your appeal will be considered within three days, but your doctor will need to make the case for a higher-step drug based on your response to a lower-step drug and/or other factors. Insider tip: Even if your state has no specific laws regarding step therapy appeals, you can still appeal a negative decision through your state’s insurance department or directly through Medicare (if you are in traditional Medicare or a Medicare Advantage plan). • Use caution if you’re switching plans. If you plan to—or must—switch your health plans and are already taking a high-step-level, expensive drug, make sure that your new plan both covers that drug and will allow you to stay on it. Even if you stay in a plan only to find that your insurer is dropping that expensive drug you are on, don’t be afraid to file an appeal. 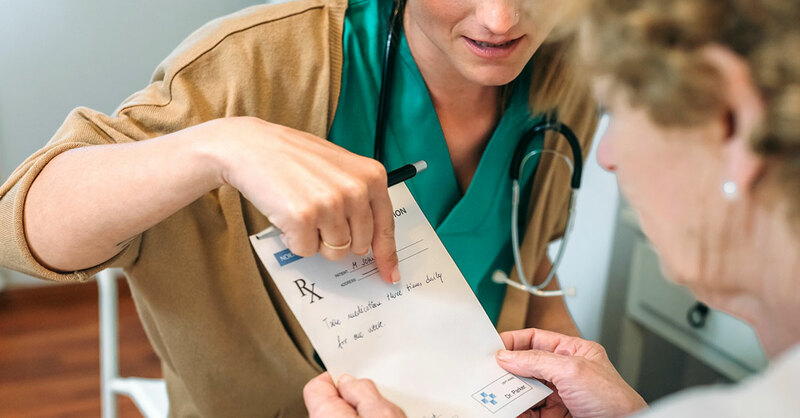 Step therapy has an upside, too: Even if you are not in a required step therapy program, ask your doctor whether you can be prescribed the lowest-cost drug that is effective for your condition. In most cases, it will do the job.